We are thrilled to share that Riskin Partners has been selected as the official 2019 Webby Awards Honoree for BEST real estate website. This means we were in the top 20% of 13K entrees from around the world. Take a look at all the best real estate website nominees and honorees! A BIG Congratulations to all the winners, honorees, and nominees. The brand new Rosewood Miramar Beach Resort is the latest California hotspot. The recently debuted Rosewood Miramar, sits on one of the most beautiful and exclusive beaches in Southern California. The world-class resort conveys an elegant yet casual atmosphere, offering iconic sophistication and refined modernity. Born from an era of gracious hosts welcoming guests for the season, the resort’s unparalleled level of service is attentive and professional, yet never pretentious. Enjoy luxuries such as an exclusive members-only Miramar Beach Club, a spa, and exquisite dining. Don’t just take our word for it, A-list celebrities are fleeing from Hollywood for relaxing getaways at this Montecito gem! Rumor has it that Justin Bieber and Hailey Baldwin married in late February at the Bellosguardo Estate and stayed at Rosewood Miramar Resort. Even Kourtney Kardashian took a break from all the Hollywood glam for a weekend at the Miramar. With sunshine and clear skies, spring in Santa Barbara is quickly approaching. 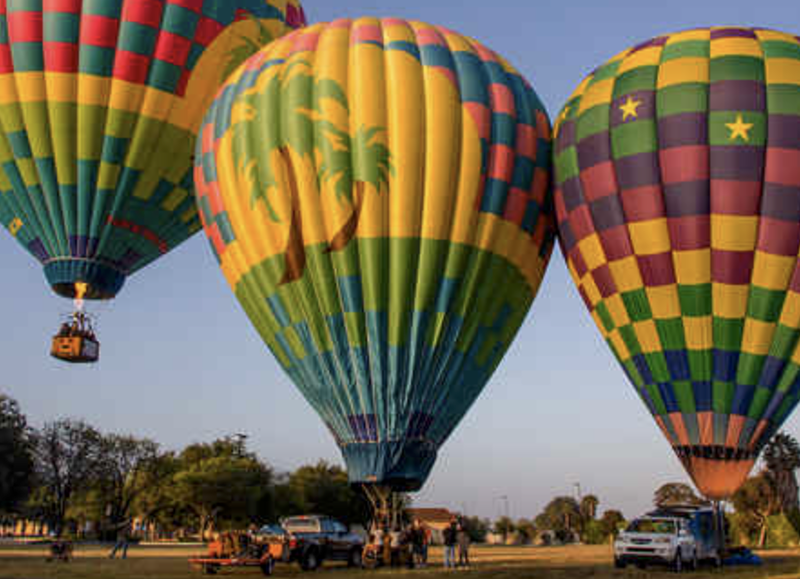 No matter your lifestyle or interests, there are plenty of ways to enjoy the spirit of spring break in your own backyard. Bask in the sun under clear blue skies at 705 Riven Rock Road. Live oaks, lush lawns, and a large koi pond provide plenty of adventure for residents. Tucked privately on the southeastern portion of the property, a wonderful pool, spa, and one-bedroom pool cabana are ripe for spring and summer fun. Surrounded by lush botanicals, the poolside terrace takes on the feel of a tropical oasis. A sunny, south-facing yard is ripe for entertainment of all kinds, especially in the spring! Whether you prefer a splash in the pool, a dip in the spa, play flag football on the lawn, or simply enjoying the beauty of the natural surroundings, the outdoor space epitomizes the California Dream. Enjoy the best of Montecito at your fingertips being less than .5 mile to the lower village and under 3/4 of a mile from Butterfly Beach. Enjoy the spring sunshine on the back terrace that spans the entire length of the home and overlooks the lush course grounds. If you prefer a little more activity, grab some friends and opt for a round of golf on Birnam Wood’s beautiful course. Santa Barbara is known for many things, one being our enviable 300 days of sunshine. Even on our chillier winter days, the sun still shines through! Compared to some of our east coast counterparts, a colder day here is a walk in the park. Santa Barbara is often referred to as the American Riviera with its rolling hillsides and deep blue seas. Santa Barbara offers opportunities for prime wining and dining, hiking, surfing, and everything in between. The Hamptons is a string of seaside communities that are well known as a summer destination for the affluent. While The Hamptons may be a desirable vacation spot in the summer, the winter months are tougher to bare! Tired of the winter cold? Enjoy Santa Barbara’s year-round sunshine on gorgeous patios, under cozy loggias, and with prime indoor-outdoor designs. Whether you enjoy the weather from under an expansive loggia near a giant fireplace or step out onto your private balcony to read a book while basking in the sun, 860 Picacho Lane is the perfect place to revel in the year-round Santa Barbara sun. Enjoy morning sun salutations, an afternoon Arnold Palmer, evening barbeques with friends, and roasting s’mores under the moonlight during any season on the expansive mountain view terrace. A private ocean view terrace looks to the sea and is perfect for both early morning lattes and nightcaps under the stars. 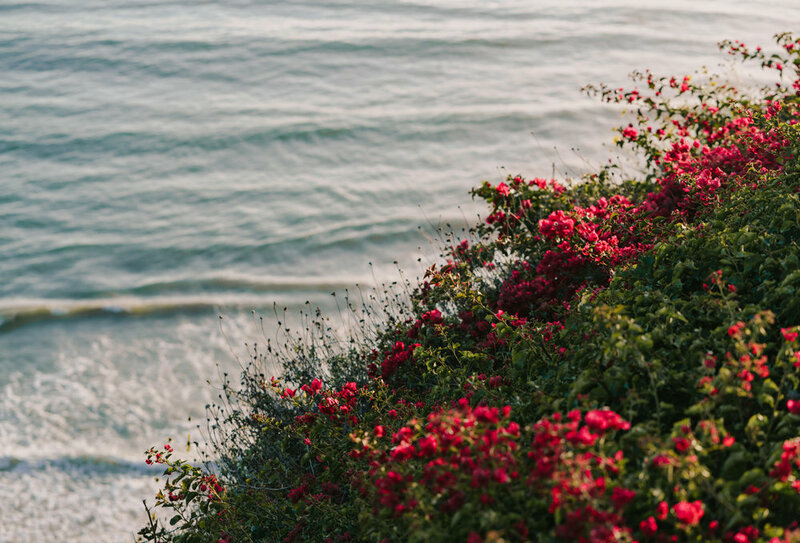 Whether Montecito is your permanent post or your weekend retreat, 1167 Summit Road lets you take advantage of the best of our coastal climate and enviable lifestyle. Opening to a beautiful gas fire pit and fountain, the living room offers a way to enjoy the winter sunshine while keeping warm. Additionally, the pergola provides shade during the day, and built-in heaters warm up cool evenings. Montecito is a world-class community with top-notch schools. Montecito Union and Cold Spring School are both reputable elementary schools that aid in setting children up for success. Montecito Union is a public elementary school that provides an excellent education. MUS is rated top school in the area with five stars from school digger. Students consistently perform with the top test scores in the state (in the 90th percentile). In 1998 and again in 2014, the school was awarded "Distinguished School" status, by the State of California, for academic achievement. Also, in 2017, MUS received the green achiever award, which honors schools that conceive resources while promoting health and environmental literacy. Click here for more information and statistics about Montecito Union. The two-story New England-style shingled home, which was extensively remodeled by Becker Studios in 2010, is highlighted by bright-white trim, gracious mountain views, and stunning gardens. It’s the ideal spot to spend the day sitting outside watching wildlife circling throughout the open skies, then to settle in and enjoy twilight as the mountains come alive with the always majestic incandescent glow. Located down a quiet lane in the heart of Montecito, this story-book home pairs the charm of a New England cottage with the ease and sophistication for which Montecito is known. Near the Upper Village, Montecito Union Elementary, and the Miramar Beach Resort, Pimiento is an ideal blend of all things that define Montecito’s idyllic lifestyle. Cold Spring is a public elementary school that serves approximately 170 students in a small classroom setting. Students attending Cold Spring have consistently performed in the top 5-10% of all elementary schools in the state of California. Cold Spring was designated a California Distinguished School in 1986, was recognized as a Blue Ribbon School in 1992, and in 2016, was recognized as a Gold Ribbon School. Click here for more information and statistics about Cold Spring. Nestled on a private lane, near Montecito’s lower village and resting above the Montecito Country Club, a historic 1920s estate has been reimagined for the 21st century. Whether you are spending time in the multifunctional great room or relaxing by the fire in the central courtyard, this remarkable estate provides for an enviable lifestyle. Valentine’s Day might have passed but love is still in the air and we think you will love these estates boasting plenty of romantic details. Whether you are enjoying a cocktail on the balcony, snacking under the covered loggia, or wandering around the lush gardens, 860 Picacho Lane is nothing short of romantic. With intricate architectural details and ocean views from every angle, you’ll be falling in love at first sight. The grand living room makes a perfect romantic setting for two. Cozy up by the fire at night or watch as spectacular sunsets illuminate the hillside and fill the room with an incandescent glow. The wine cellar is perfect for storing all your favorite bottles. Pick out that Pinot Noir that you’ve been saving for a special occasion and enjoy it in the comfort of your own home. Grab some popcorn and head over to the in-home movie theatre for a private showing of a show of your choice. 1601 Moore Road is Montecito’s sweetest escape. Tucked away on a private road with a board-and-batten exterior, this estate is what storybooks are made of. Live out a fairytale romance with evening dinners on the outdoor patio near the build-in adobe fireplace. During summer nights, take a midnight dip in the pool and enjoy the lush nature surrounding you. 1155 Hill Road is a seaside, storybook home with a modern twist. Totally private and sublimely peaceful, the grounds are ideal for impromptu picnics or a romantic dinner for two. Timeless and breezy, effortless and chic, the dining room sets the stage for gathering with a loved one. Beamed ceilings crown the room, and a stately fireplace adds a warm glow to any occasion. Outside, a private ocean view terrace looks to the sea and is perfect for both early morning lattes and nightcaps under the stars. Enjoy views of the sparkling Pacific Ocean and spectacular Santa Barbara sunsets from your own private oasis. The lush central courtyard opens up to the beautiful grounds and is the true heart of the home. This flexible space is perfect for a romantic evening for two. Enjoy a delicious meal outdoors as you watch the mountains turn purple at sunset. As the years come and go, so do home design trends. 2018 was all about modern maximalism, closet overhauls, and art-deco inspired design. We forecast that 2019 home design trends will consist of modern minimalism, freestanding bathtubs, indoor-outdoor living, cream colored cabinets, and white board-and-batten. Minimalism has gained significant traction over the recent years. It is highly attractive to people who prefer to indulge in a simple way of living. Characteristics of modern minimalistic homes include: simplicity, open and light-filled spaces, simple detailing, and strategic use of decor. 1636 Moore Road embodies modern minimalistic design. The living room features simple, neutral-colored decor. From the couch to the artwork on the wall, nothing is too distracting from the room itself. 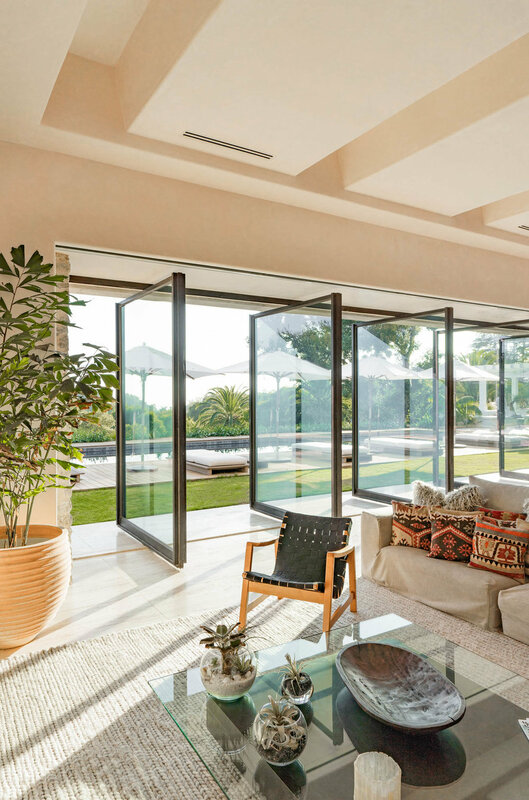 The sliding glass doors along the backside of the room allow for a clean, open and light-filled space. The kitchen is clean-cut, simple and functional. Professional appliances, ample counter space and endless storage makes this chic kitchen a dream. With bright, white walls, clean cut windows and doorways, and contemporary ceiling detail, 1167 Summit Road is the epitome of modern minimalism. Freestanding tubs are a top trend in contemporary bathroom design. These tubs are a favorite for those who desire a spa-like experience. 808 San Ysidro Lane, 860 Picacho Lane, and 256 Santa Rosa Lane all feature a freestanding bathtub. These spa-like tubs are aesthetically pleasing and are placed near a window, creating a perfect bathing setting. In this day and age we are often preoccupied in the digital landscape. Many people find themselves needing more time to connect with the outdoors. Indoor-outdoor living designs help make this a possibility. Whether you want to play a friendly game of pool, enjoy a cocktail on the balcony, or lounge in the backyard, 1155 Hill Road provides many entertainment spaces. Hill Road also features a deeded easement which gives quick and direct access to Channel Drive and the ocean beyond. Minutes away from Butterfly Beach and the Four Seasons Biltmore, this location offers a coveted lifestyle. Whether you are relaxing in the living room, the family room, or the study, there is always an escape to the outdoors. 2129 Forge Road captures the essence of Montecito’s beloved gated community, Birnam Wood. Birnam Wood is known for single level living, an award-winning golf course, delicious dining, beautiful views, and an active social community. According to the Houzz kitchen report, white is still the top choice for cabinet color. However, many people are moving away from stark white and choosing warmer, creamier whites for their kitchen cabinets. The creamy-white cabinets in 860 Picacho’s kitchen compliment beautiful wooden ceilings and rustic tile floors. 256 Santa Rosa’s soft white kitchen cabinets perfectly compliment shiny, silver appliances and black marble countertops. White board-and-batten interiors and exteriors are on the design radar. Board-and-batten exteriors create a modern farmhouse look, delivering a charming, storybook home. 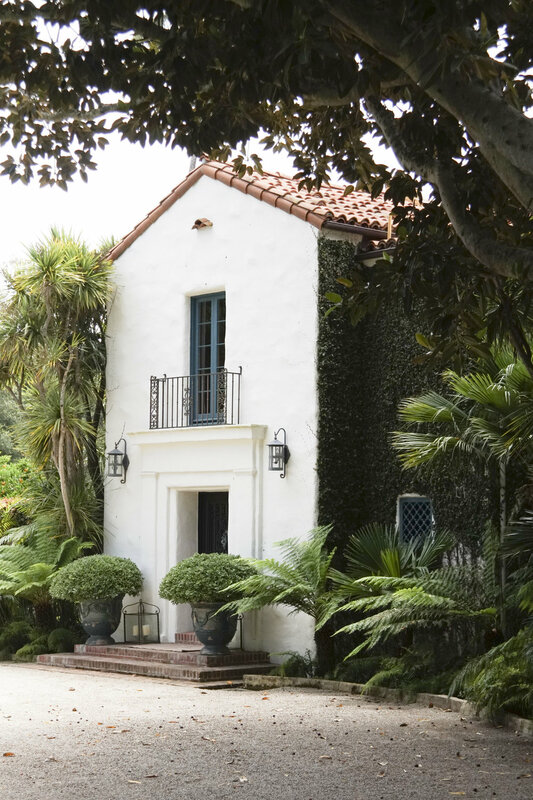 1601 Moore is Montecito’s sweetest escape. The creamy board-and-batten exterior oozes cottage-style charm and allows the home to stand out against the foliage. A charming board-and-batten exterior mingles with lush grounds to create a romantic welcome to this wonderful seaside escape, where Dutch-doors and porch swings further extend the home’s charm. 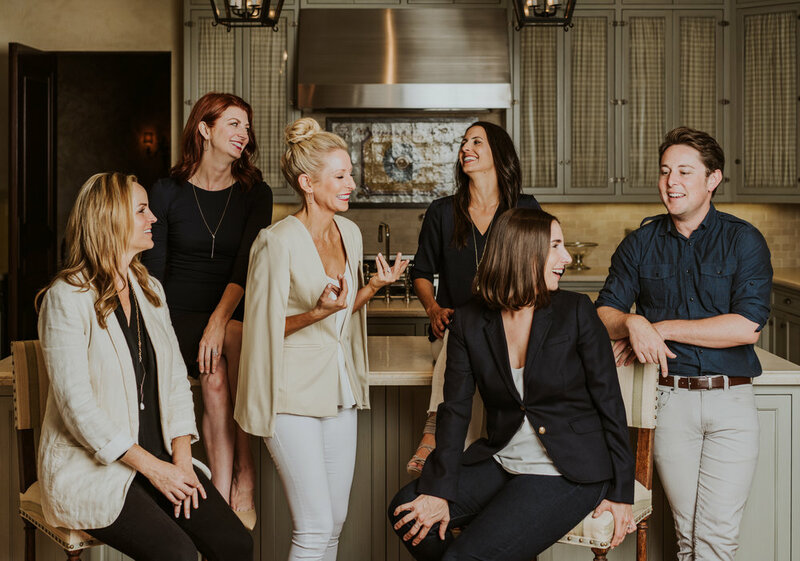 FOR OUR 2018 ANNUAL REPORT, WE’RE LOOKING BACK AND CRUNCHING NUMBERS TO GIVE YOU AN INSIDE LOOK AT THE #1 REAL ESTATE TEAM IN MONTECITO! GIVEN THESE FACTS AND STATS, IT’S NO WONDER THAT RISKIN PARTNERS AGAIN HAD THE THE HIGHEST SALES OF ANY RESIDENTIAL REALTOR IN THE SANTA BARBARA MLS. CURIOUS TO KNOW HOW MANY HOURS WE WORKED? TEXT MESSAGES WE SENT? HOW MANY CELEBRITY SHOWINGS WE HAD? SCROLL DOWN AND LOOK AT RISKIN PARTNERS’ TRIED AND TRUE FORMULA THAT CONSISTENTLY ADDS UP TO BEING #1! In 2018, we had 356 days without Rebecca. Each of those days, we worked tirelessly to honor her legacy with the same strength, grace, and elegance that wholly defined Rebecca. We are proud to close 2018 as the number one residential realtor in the Santa Barbara MLS. Here's to 365 happy, healthy, and prosperous days in 2019!!! BUILD YOUR DREAM HOME WITH THE HELP OF SANTA BARBARA’S MOST REPUTABLE ARCHITECTS. Matt Goff and Zoran Pevec established Archive Design Group back in 2009. Upon creating their firm, they had a vision for detail-oriented custom design with an emphasis on craft and context. 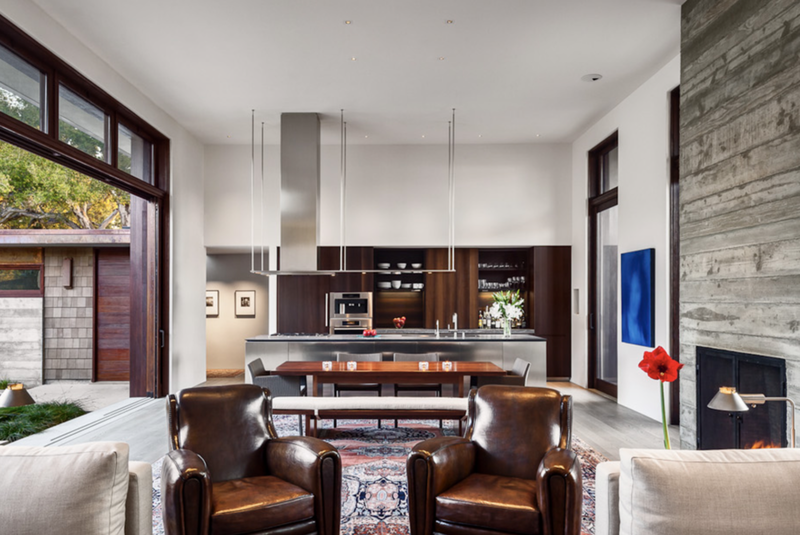 Archive Design Group specializes in high-end single-family residences. With every project, Archive Design Group looks at the physical surrounding of the specific site and the historical precedence in the area. They examine what has been done in the area and make every project particular to the place. Archive Design Group also tailors their designs to how people live today. They’ve seen a more modern trend of great room spaces, which are perfect for today’s lifestyle needs such as spending time with family and hosting friends. Archive Design Group’s projects end up being a fusion of historical and contemporary, and their style is ever-evolving depending on the project. Archive Design Group is seeing a lot of modern design internationally. Countries around the world are utilizing natural material with modern purity in the layout. They have seen good use of natural lighting and passive ventilation techniques. Archive Design Group values high-end construction quality and sustainable development. They would like to see more sustainability models used such as fire resistant architecture in high fire zones. They would also like to see more contextual architecture—designing homes to fit within the natural environment and deriving style from cultural and historical precedence. Archive Design Group is currently working on projects in Venice, Malibu, and Hollywood Hills. They have also completed projects in the Santa Barbara area. Their project in Hollywood Hills is currently under construction. For this project, they are pulling from Asian cultures and going for a Shangri-la look. This property is high on a hill, overlooking the entire city. Archive Design Group’s approach to this site is interesting and unusual—unlike other properties in the area, they pushed the building to the side and have the central courtyard and view as the home’s focal point. La Ladera is one of Archive Design Group’s favorite projects and happens to be one of our current listings. Andy, Dave, and Mary began their practice together in Santa Barbara over thirty years ago with a shared passion for art and design. Their goal has always been to collaborate with people to create great design, and to enjoy the process along the way. NMA enjoys helping their clients and friends build their California dream. The NMA team takes pride in creating timeless, sustainable homes that will make their clients most happy and capture their true sense of place. NMA’s work spans a wide range of design styles and home sizes, from very large estates to small remodels and additions, from classic traditional styles to very modern contemporary designs, and everything in-between. NMA finds inspiration for their award-winning home designs within their clients’ unique needs, desires, and the beautiful Santa Barbara natural environment. Their approach to their design work at NMA has evolved directly from Santa Barbara’s environmentalist ways. They have a couple of net-zero homes in the works—meaning that on an annual basis the homes will create as much energy as they consume. NMA Architects are happy to see these days that green design is in the forefront, and is here to stay. 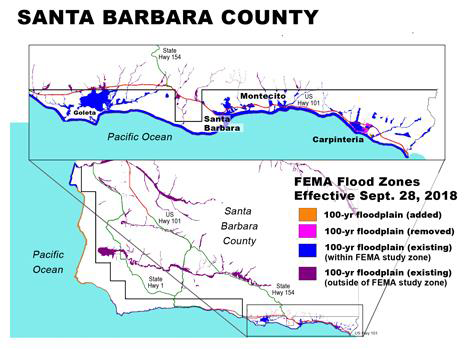 For the Santa Barbara community, environmentalism has become second nature. Recycling, water conservation, solar power, electric cars, high efficiency building design standards, the Community Environmental Council, the annual Santa Barbara Earth Day festival… Santa Barbara continues to be in the forefront of creating a healthier, sustainable world and way of living. 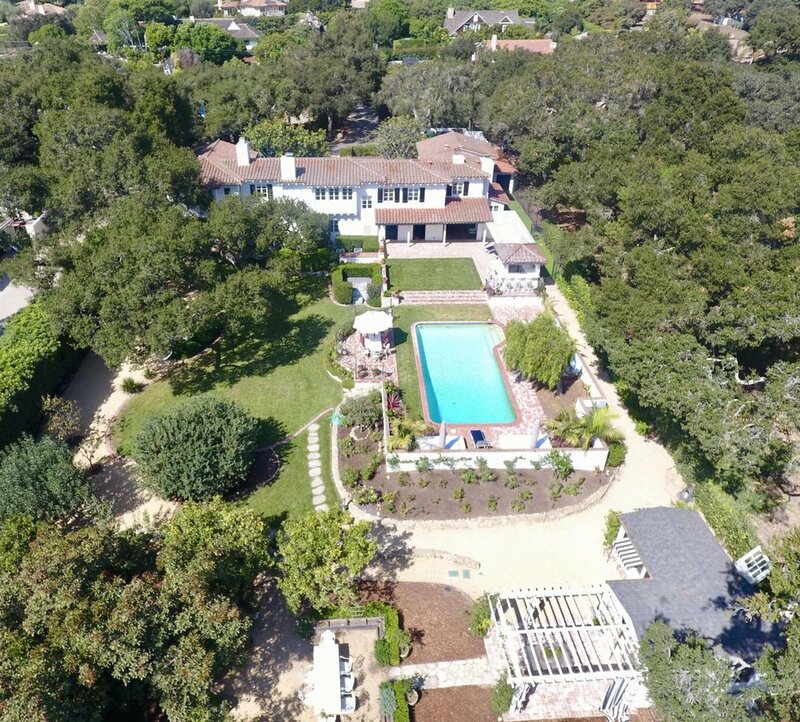 Santa Barbara Beach Residence is a quintessential large estate located on beautiful property right on the coast. It’s a classic traditional California board and batt beach style home with a casual elegance that is a perfect fit for the beach! The Thayer Residence is a smaller size home located in the classic Montecito Hedgerow district. Our design is a modern interpretation of the traditional shingle style architecture. It’s Zen-like simplicity and elegance strikes a real chord with many people. Carpinteria Foothills Residence is beautiful contemporary home melded with an amazing native oak riparian site. The ridgeline property and home overlook stunning ocean views that afford true indoor-outdoor California living. Surrounded by several renowned vineyards, this 75+/- acres of vineyard rests at the heart of Happy Canyon. With the fantastic potential for an estate site, the property boasts plenty of space to build an expansive home and equestrian facilities alongside the vines. Irrigation and electricity are already available on the property, and graded all-weather roads wind throughout the vineyard to a stunning lookout spot. Situated in what is arguably one of the world’s most beautiful locations, this vineyard property presents the rare opportunity for a turnkey farming operation, an already distinguished vineyard, and a wonderful estate site all in a sought-after piece of the world. Perched in the foothills above the riviera and down a private gated lane, this incredible 4+ acre building site offers a front row sear to experience the best of Santa Barbara’s incredible beauty. Both a world away and yet not too far from the best of Montecito and downtown Santa Barbara, this blank canvas is ready for a masterpiece. The flat building pad in a prime location includes utilities to the site and offers an ideal location for a new estate. THERE’S NOTHING BETTER THAN FEELING AT HOME AND IN TOUCH WITH LOVED ONES FOR THE HOLIDAY SEASON. LUCKILY, THERE ARE PLENTY OF EVENTS HERE IN SANTA BARBARA TO HELP GET YOU INTO THE SPIRIT. On November 22nd, 10 am - 3:30 pm, Santa Barbara Zoo is hosting a Thanksgiving Day Pumpkin Smash. 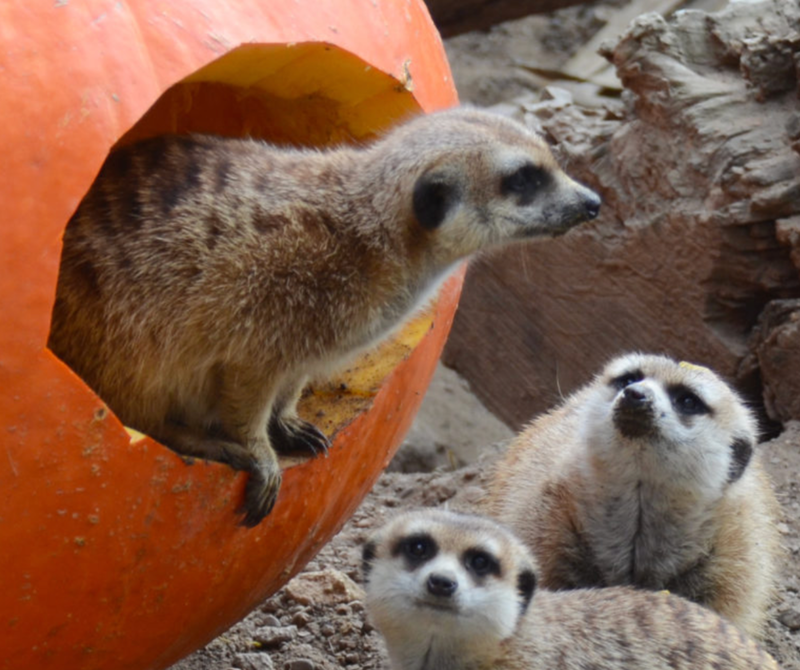 Animal lovers are encouraged to get their family out of the house and watch furry friends from the Zoo interact with pumpkins. The Four Seasons hosts a variety of seasonal events including a holiday tree lighting, a cookie decorating class, and story time with Santa. Their wide range of events make it the perfect destination to spend quality time with kids or your significant other. Starting November 23rd and continuing through January 6th, Santa Barbara will host its European-style Christmas Night Market at 701 State Street in Paseo Nuevo. Inspired by lively holiday markets in Europe, this local market will feature holiday themed décor, live music, carolers, food, beverages and all the best products the Central Coast has to offer. On November 24th, bring your family and guests “Home for the Holidays” Thanksgiving Day weekend. Prepare to be delighted and warmed by your favorite holiday classics in a program curated and led by the Santa Barbara Symphony’s celebrated Music and Artistic Director, Nir Kabaretti. On December 7th at 6:30 pm, more than 65,000 people will line State Street in anticipation of Santa Barbara’s only nighttime parade, the 66th Annual Downtown Santa Barbara Holiday Parade. This signature event brings marching bands, holiday-themed floats, spectacular performance groups, and local personalities. Hundreds of families will come out to play in 10 tons of snow and take photos with Santa to get into the holiday spirit. The first 400 children receive free goody bags from Santa’s helpers. The annual boat parade begins with about 30 boats motoring, sailing, and paddling the Santa Barbara Coastline. Visitors enjoy a fireworks show after the parade. On Saturday, December 1st at 6 pm, Goleta will be transformed into a holiday wonderland. The parade will run on Hollister Avenue, between Orange Avenue and the Goleta Valley Community Center. Following the Parade, there will be a Christmas Tree Lighting in front of the Community Center as well as an opportunity to meet and take pictures with Santa Claus. On December 31st, finish off the holiday season and ring in the new year at the Historic Carrillo Ballroom in Downtown Santa Barbara. You can get on the Brew Bus to get to Brew Year's Eve safely! Pickup locations include Carpinteria (Island Brewing Company at 7 p.m.), Goleta (M Special Brewing at 6:45 p.m.), and two convenient Santa Barbara locations. The bus ride includes ride to, and from, the event and must be pre-purchased. Click below to view our listings. COAST VILLAGE COUTURE COLLECTIVE IS A PERFECT OPPORTUNITY TO GET INTO THE SHOPPING SPIRIT THIS HOLIDAY SEASON. Coast Village Couture Collective is a curated fashion event hosted by Montecito’s local retail community. By coordinating pop-ups and trunk shows at participating retailers, this event will attract shoppers looking to experience a variety of fashion-inspired events. Whether you’re on the hunt for a holiday gift or a personal treat, Coast Village Couture Collective is a fun, unique shopping opportunity. K. Frank is an upscale, contemporary lifestyle boutique featuring a carefully curated selection of men’s and women’s clothing, jewelry, shoes, and accessories. K. Frank will be welcoming their designers Julez Bryant, Culturata, and J. Brand for their exclusive Couture Collective trunk show. Whistle Club showcases a tightly curated assortment of women's apparel, accessories, and gifts from a thoughtful selection of emerging designers and industry favorites. 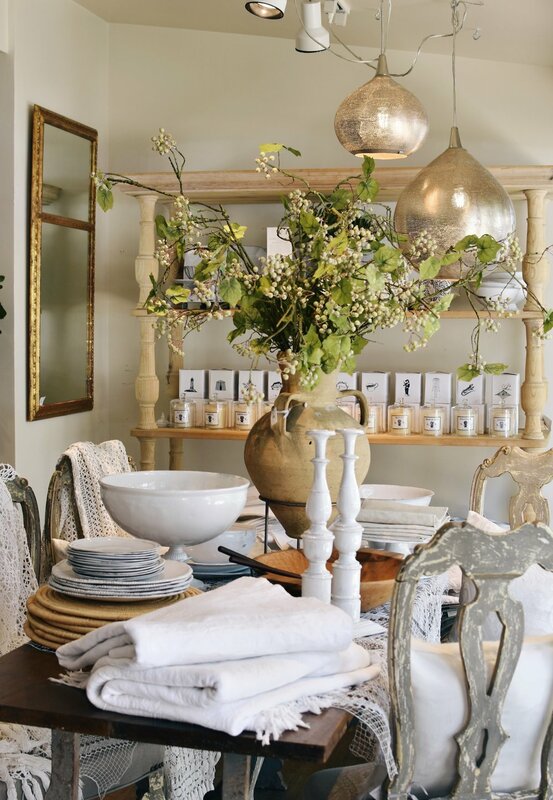 Maison K is a destination lifestyle boutique where people feel transported to a lovely, harmonious, and serene world. Maison K is an ever-changing collection of unique home decor, furnishings, and clothing from around the world. Whiskey & Leather is a men’s and women’s clothing boutique for an eclectic living. Angel Montecito is a Wendy Foster clothing store and is part of a long-standing family of companies. Allora by Laura embodies the marriage of fine European clothing with a soulful California attitude. Fashion lovers can decide how to style column dresses, cashmere wraps, retro jumpsuits, leather jackets, and curated accessories. Allora by Laura will welcome Ali Grace Jewelry for a trunk show and a designer from New York. SANTA BARBARA IS A CITY BLESSED WITH BEAUTIFUL AND HISTORIC ESTATES, INCLUDING THE MAGNIFICENT BELLOSGUARDO MANSION. Bellosguardo is a twenty-four acre, lavish Italianate villa that sits on a bluff overlooking the Pacific. For sixty years, this estate has been one of the least-visited and most-whispered about landmarks on the California coast. The estate was cared for by Anna Clark, widow of copper king, Senator William Andrews Clark, in 1937, and then owned by their daughter, Huguette, until her death at age 104. Today, Bellosguardo stands just as Huguette left it many years ago: perfectly maintained and protected. Upon her death, Huguette left the estate to the Bellosguardo Foundation, which is dedicated to honoring the Clarks’ past and their vision to transform Bellosguardo into a center for art and culture in Santa Barbara and beyond. Recently, the Riskin Partners team had the privilege of attending the Bellosguardo Foundation Inaugural Gala. The event raised much-needed funds for the restoration and revival of this historic mansion and grounds. Luckily this was only one of many opportunities to support the Bellosguardo Foundation. On December 5th, join author Bill Dedman for an exclusive tour of the mansion and gardens, followed by an elegant luncheon and comprehensive talk on the history of Bellosguardo. Additionally, the Bellosguardo Foundation is currently offering Restoration Society memberships as an appreciation for donations. As a member, you will be recognized both on our website and on a plaque honoring inaugural members to be placed on the property. You will receive specially designed pins commemorating your membership and early access to purchase tickets to all public events held at Bellosguardo in 2018 through October 2019. Fall is the season to cuddle up by a warm fire and indulge in delicious comfort foods. In fact, one of the best parts about fall is experimenting with fun recipes at home. Some of the most delightful fall recipes call for seasonal fruit that, if you’re lucky, can be found in your own backyard. A charming board and batten exterior mingle lush grounds of fruit trees, and beautiful botanicals create a romantic welcome to this gorgeous seaside escape. Aided by fresh seaside air, the garden thrives creating an outdoor oasis. 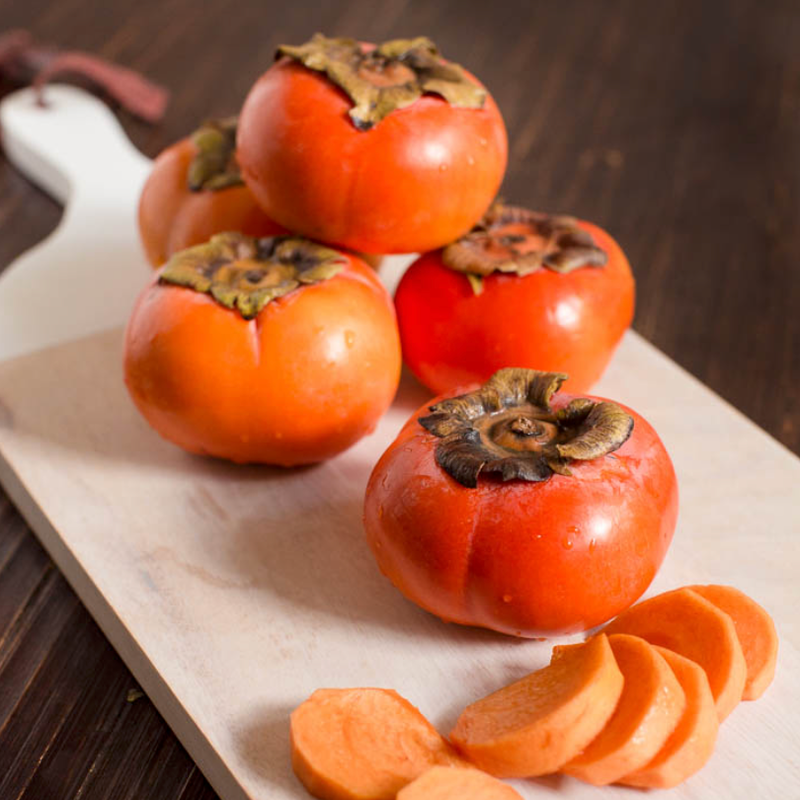 Here you can enjoy persimmons, apples, and fig straight from your backyard! Click on the fruit below for a decadent fall recipe. 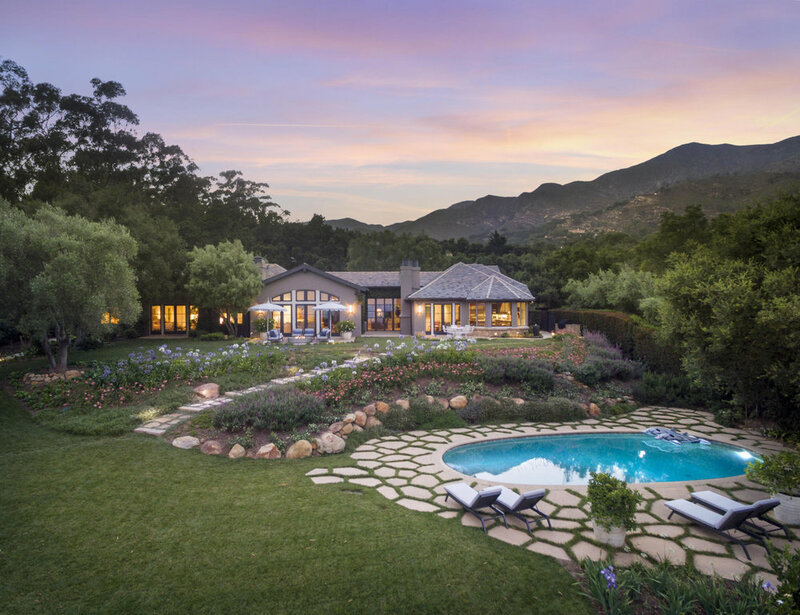 This Birnam Wood estate embodies the quintessential California style. With rich, refined details and gorgeous landscape this home is a dreamy residence. 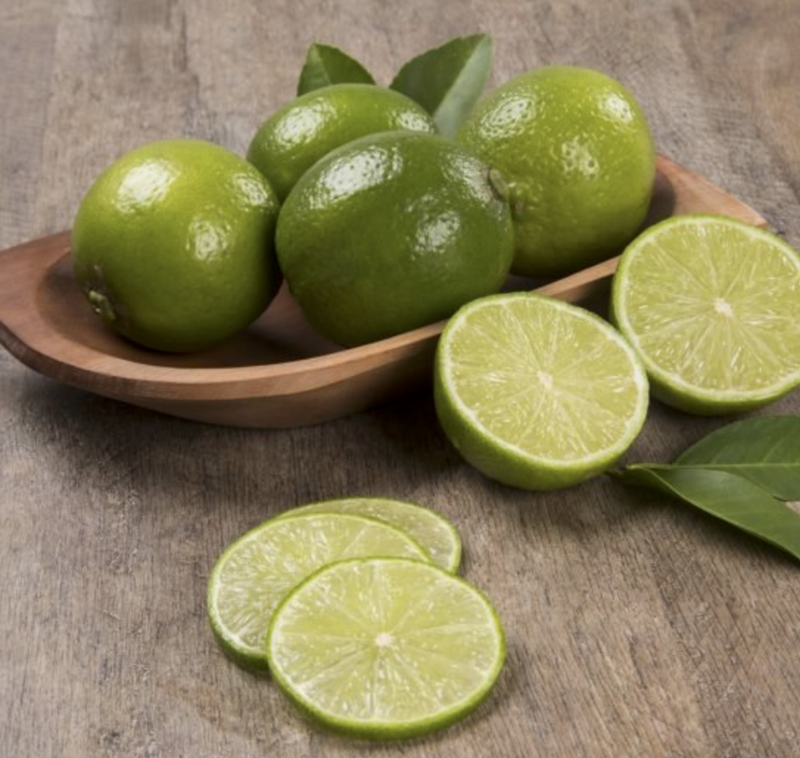 Throughout the fall season enjoy fresh lime and apples off your own trees. Click on the fruit below for a delicious fall recipe. El Cielito is a secluded oasis in the heart of town. This three-acre sanctuary is an exquisite odyssey of quintessential Santa Barbara architecture and unexpected international design. This property features a 100 year-old Moreton Bay Fig tree, perfect for fall cooking! Cima Vista Lane is a sophisticated Tuscan Villa that is known for its timeless elegance and impeccable design. During the fall season, you can find ripe pomegranates in your own backyard. With an expansive 11 acre setting, this property has a formal rose garden, vegetable garden and wildlife conservation area further establish the estate’s magnificent and secluded feel. 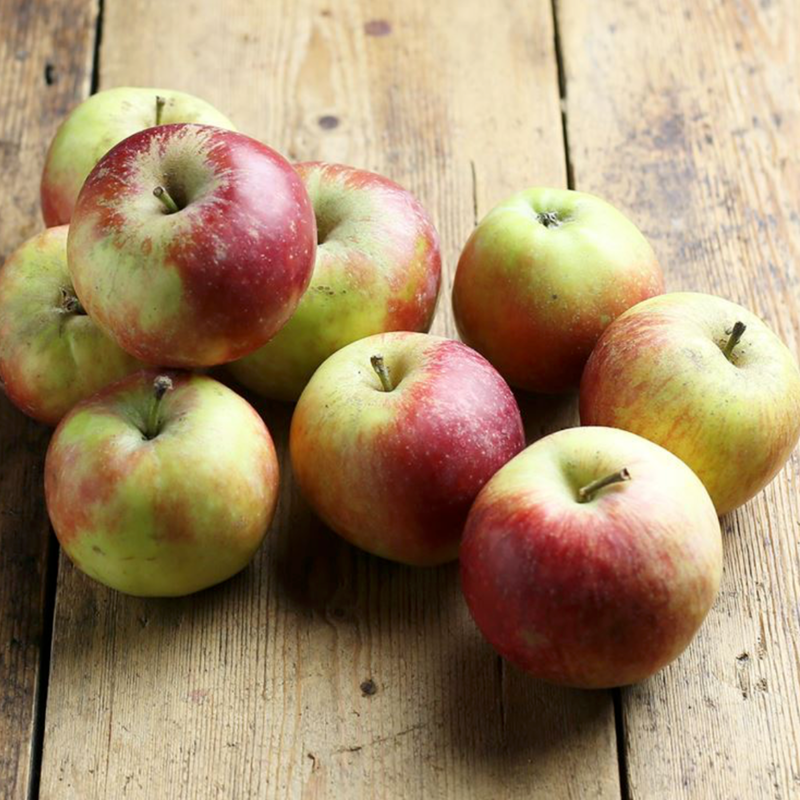 Click on the fruit below for a delectable fall recipe. Montecito’s sweetest escape, 1601 Moore Road is the essence of cottage-style charm. 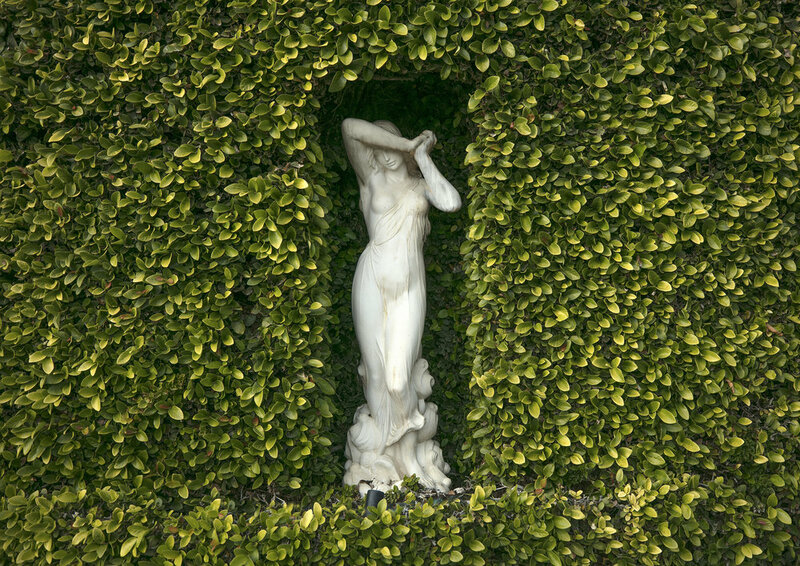 Daydream among the rambling gardens and untamed vines that surround the back area of the estate and take advantage of the enchanting pathways that meander around to the main house’s front door. 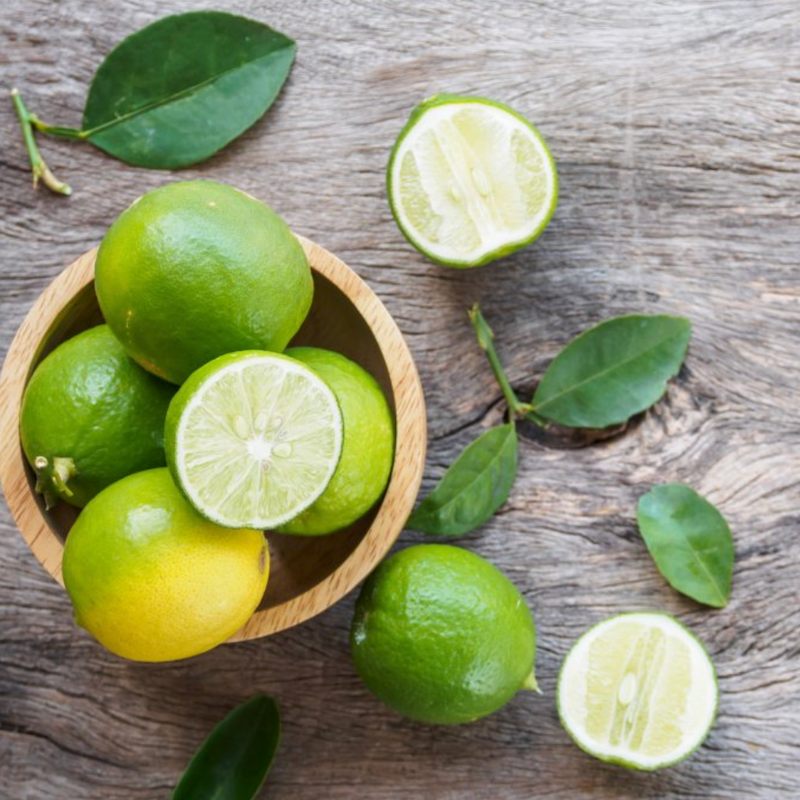 With an inviting interior, lush gardens, and Bearss lime trees, Moore is prepped perfectly for fall. Click on the fruit below for a heavenly fall recipe. CELEBRATE THIS SPOOKY SEASON AT GHOST VILLAGE ROAD. WHAT IS GHOST VILLAGE ROAD? Every Halloween, "Ghost" Village Road attracts over 1,500 people in costume and ready for treats. The Lower Village turns into a lively daytime trick-or-treating extravaganza, and all the local businesses are prepared for the exciting event. Children and their parents walk up and down the entire stretch of the road, collecting as much candy as possible. The Montecito Association created this fun, safe, and family-oriented event that also benefits all the shops and businesses along Coast Village Road as it gives us a chance to interact with the community. Scoop - holds a costume contest in their back parking lot with prizes and fun treats like the creepy-crawly "Worms and Dirt" dessert. Giovanni's - gives out pizza squares! Jeannine's - sure to have fun and elaborate decorations with Halloween-themed cookies. Village Properties - The office is decorated with spider webs, pumpkins, spiders, and spooky jars of eyeballs. They also have two werewolf's who greet the trick-or-treaters, and is known to have the best and most candy... get ready for Pixi Stix, chocolate, and candy necklaces!